Relive Juneau's gold rush history and pan for gold in the authentic setting of Last Chance Basin. A costumed prospector will accompany you on a narrated van ride through a historic residential area, en route to Last Chance Basin. Trace the route taken by Joe Juneau and Richard Harris in their search for gold over 100 years ago. 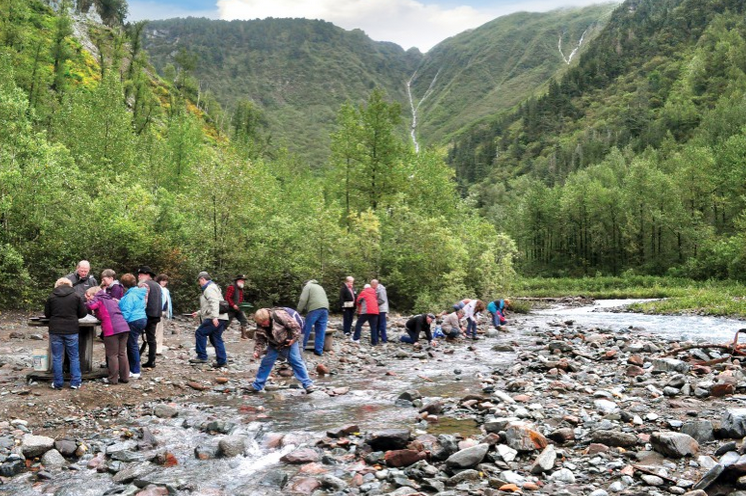 Near the famous Alaska-Juneau gold mine, one of the world's largest hard rock mining operations, you will get hands-on experience panning for gold in the creek, and its guaranteed for everyone! Your prospector/guide recaptures the history of Juneau's gold discovery and hard rock mining as you view remnants of the mine. Some final notes: bring your vouchers and dress comfortably for the weather. This tour is not suitable for wheelchair and/or scooter guests due to the uneven terrain at Last Chance Basin.